Gippsland Country Life Magazine is an award winning, nationally recognised lifestyle magazine with a reputation for quality and integrity. Now in its eleventh year, Gippsland Country Life is the regions most popular and widely read lifestyle magazine – celebrating country life in Gippsland. Each season we showcase the best homes, gardens, food, wine, people, places, art and events throughout the region, in articles written by a diverse group of contributors who breathe and love where they live. We uphold high editorial standards – above industry levels – because we believe in building a relationship with our readers. By presenting compelling content we have built a large, loyal and actively engaged readership that is continuing to grow across multiple mediums. Our readers are loyal and discerning. They enjoy the good things in life and have a disposable income to hand, ready to spend on quality goods and services. They like to shop within the Gippsland region. 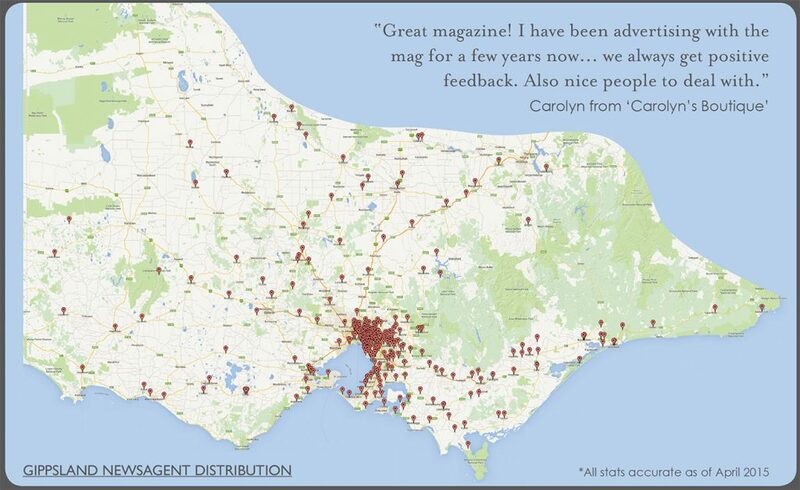 Retail – Our magazines are available quarterly in over 300 newsagents and specialty stores throughout Gippsland, Melbourne and its surrounding suburbs and across Victoria, distributed via Integrated Publications Solutions. Subscribers – We have a strong and loyal subscriber base in the thousands, who receive the magazine directly to their door. Free Venue Copies – We have established a long list of outlets that receive our free venue copies each edition. Copies are distributed into cafes, boutiques, hair salons, accountants and solicitors offices, restaurants, accommodation venues and professional suites throughout our distribution network. QANTAS – In 2011 we established a relationship with QANTAS to supply magazines to all of the Customer Lounges Australia wide. 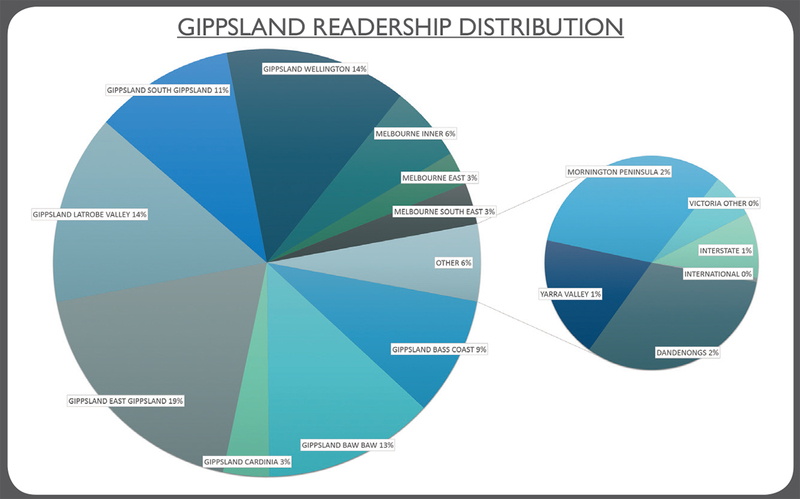 We know our readers enjoy Gippsland Country Life Magazine, and now they can keep up to date between issues with the Gippsland Magazine website. Bringing our readers local news, events, articles and more, with the same quality they have come to expect from our print magazine. Not only do we have these regional specific websites, but we also bring you Australia wide content through our website Essential Country. This site includes feature articles, event calendars, our online shop and more. You can reach an engaged and loyal readership by securing digital advertising space on our websites. There are multiple options available for advertising digitally. Contact Kylie to discuss your specific needs.